Dr Daniel Olukoya, the General Overseer, Mountain of Fire and Miracles Ministry, has filed a libel suit against the Publisher of Sahara Reporters, Mr Omoyele Sowore, demanding N10bn in damages. 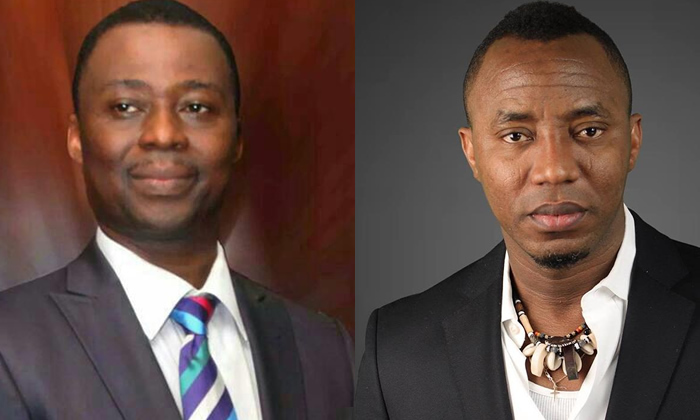 In the suit filed before the Akwa Ibom State High Court in Uyo, the MFM founder said he was constrained to take legal action against Sowore, his online platform, Sahara Reporters Incorporated and the Incorporated Trustees of Sahara Media Foundation for their alleged failure to desist from publishing false and malicious articles against him and his church, MFM, since 2013. The cleric said despite complaints, Sowore and his Sahara Reporters remained intransigent and continued to publish offending stories about him and his church. Olukoya said he had earlier demanded that Sahara Reporters pull down all the offending stories against him and his church within seven days but Omoyele and his platform refused. He said having failed to take advantage of the seven days he gave them, he had no other option but to sue them. The Incorporated Trustees of Mountain of Fire and Miracles Ministries was listed as the first claimant while Olukoya was the second claimant in the suit marked HU/250/2018. 0 Response to "MFM Founder, Pastor Olukoya Drags Sowore & Sahara Reporters To Court, Files N10bn Libel Suit"